Japan never ceases to amaze. What other country could produce such cute and adorable products that have no practical use? 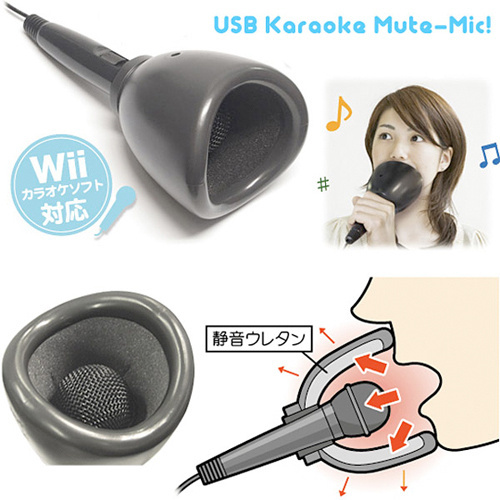 Going along with tradition, enter the USB Karaoke Mute Mic! Do you have low self-esteem? Do you have just enough self-esteem to get up in front of a group of people and sing but just not enough self-esteem to make you want people to hear it? Well allay those fears, awkward duck, because now you can sing to your heart’s content without anyone knowing about it even though they’re watching you stand up in front of them holding a microphone. Hooray! I applaud Nintendo for standing up for the incredibly small percentage of the population that this item would be useful for. Granted, Japan has a love affair with drunken karaoke for whatever reason, so in the land of the rising sun this device would probably sell like sashimi-cakes, even though it costs a reported $84 according to Gizmodo. There are only two questions I have regarding this thing: Does the illustration look like it wants you to vomit into the mic to anyone else? And why didn’t they just make a full face mask? 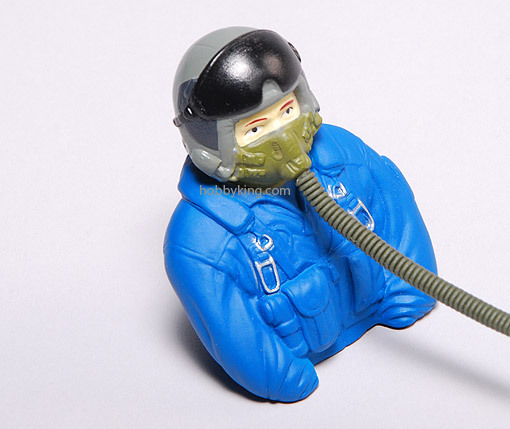 I would definitely buy one that would help me pretend I’m piloting a F14 Tomcat.